Factory 506: Cheap Art Supplies! 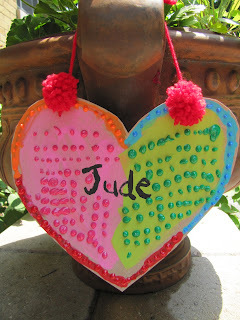 I love to make stuff, and I have a son who also loves to make stuff. Add the two of us together and you need a lot of money to keep us in supplies. I have found supplies in unexpected places, including the recycling bin. Does this look familiar? I am not proud that I have to show off the fact that I feed my baby Capt'n Crunch, but there it is!!! Cereal boxes, granola bar and fruit snack boxes (nothing but the best at Factory 506) are some of our favorites. Almost as fast as I unfold them and cut them up, they are painted, cut and turned into something. 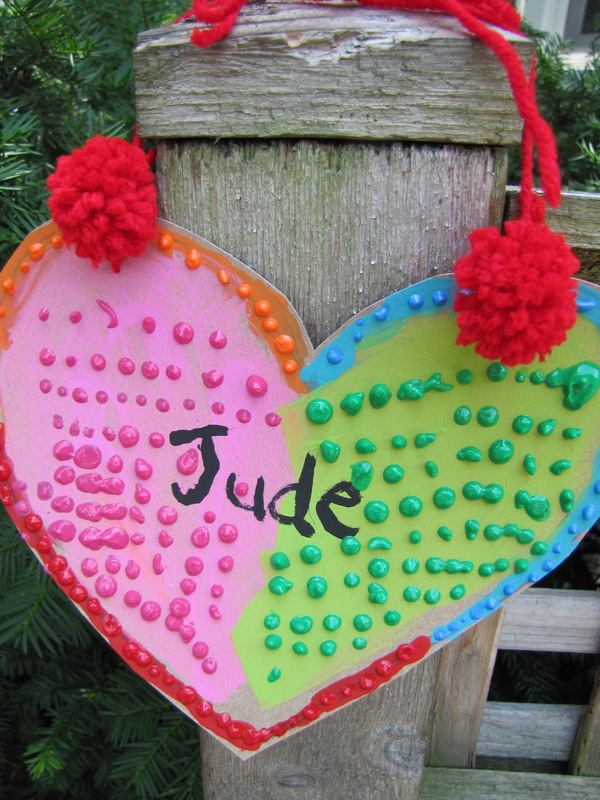 Look at the sweet heart my son made as a thank you for our dear friend Jude! 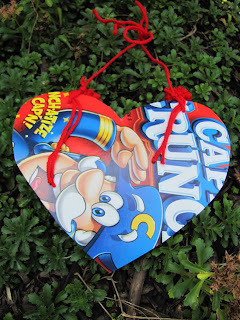 Cereal box + paint and puffy paint + pompoms = total cuteness in my book! Would you ever paint your recycling? We paint on almost all of it, it saves money and it is good for the earth!